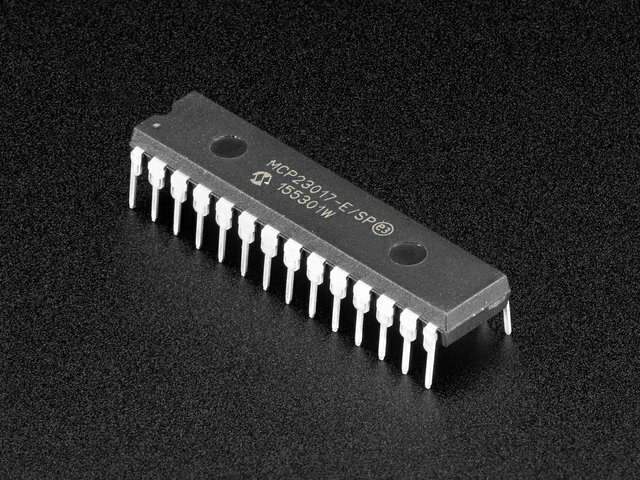 The classic 2716 2Kx8 EPROM. I recently designed and breadboarded a simple Z80 based computer. This was the sort of thing I did for fun and profit years ago. This time it was, well, for fun and profit. But it was a little different. Back in the day I had a drawer full of Erasable Programmable Read-Only memory chips (EPROMs), as well as an EPROM eraser and programmer*. This time I had none of that. So I'd have to get inventive. When I designed the system, I put in 2K of ROM/EPROM and 2K of static ram. Naturally when I bought parts, I got extras. So, that meant I had an extra 2K static ram chip sitting in a drawer. That's a powerful thing: having extra parts sitting in drawers. What I decided to do was build an EPROM emulator using that ram chip, some transistor/transistor (TTL) logic and a microcontroller board. I was using a Z80 assembler (z80asm from z80pack) on Linux to write code for the Z80, so using a microSD card seemed a reasonable way to get code from Linux to the emulator. Once I had decided to do that, I needed a way to navigate the file system on the card, select a binary file, and load it onto the RAM in the emulator. See how things snowball! To make the project a bit simpler and more modular, I chose to divide it into two separate parts: the controller/user interface (UI), and the emulator. To maximize the flexibility of that separation, I decided to connect them using an I2C bus. 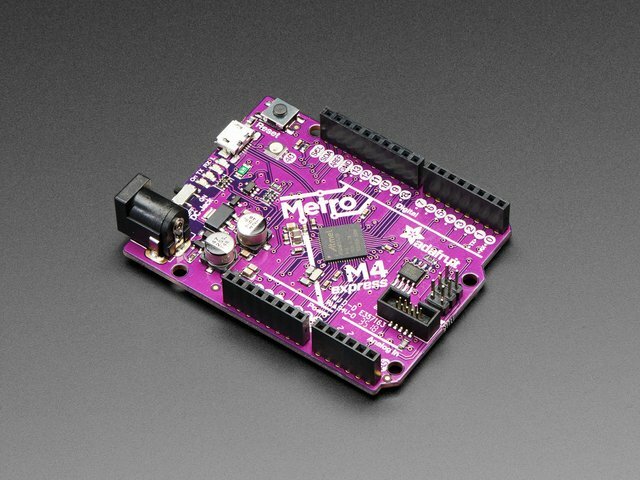 That proved to be a very good choice as I went through several iterations using different microcontroller boards: from an Arduino Mega2620 to an ItsyBisty M0 Express and finally to an Metro M4 Express. While I designed this project to support my work on a Z80 system, it can be used to replace a 2716 EPROM in any system. In this guide, I'll call that system the host. 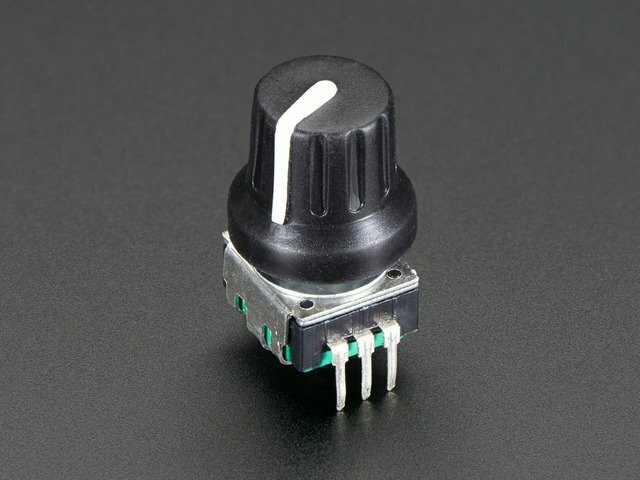 * I'm planning to build a new take on an EPROM programmer sometime in the near future which will share some features of this project, and in some ways could be considered as Part 2. It will most likely use the same controller/ui design. The interface hardware is pretty simple. 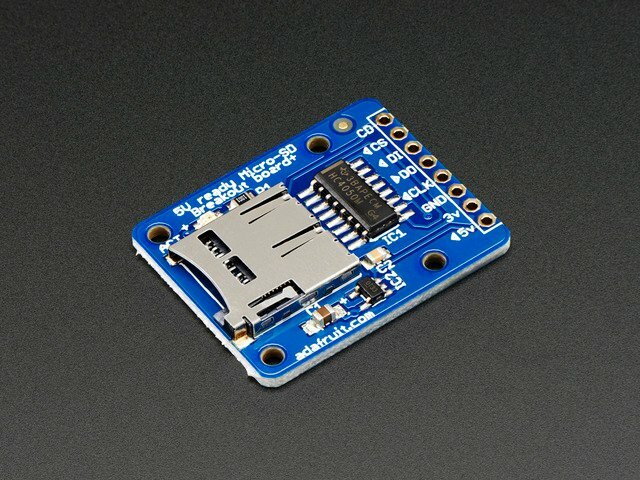 My end goal is to build it around an ItsyBitsy M4 Express board. Alas there aren't any yet, so I did the next best thing: I build it as a Metro M4 Express shield. Not the compact form factor I wanted, but all the same capabilities. 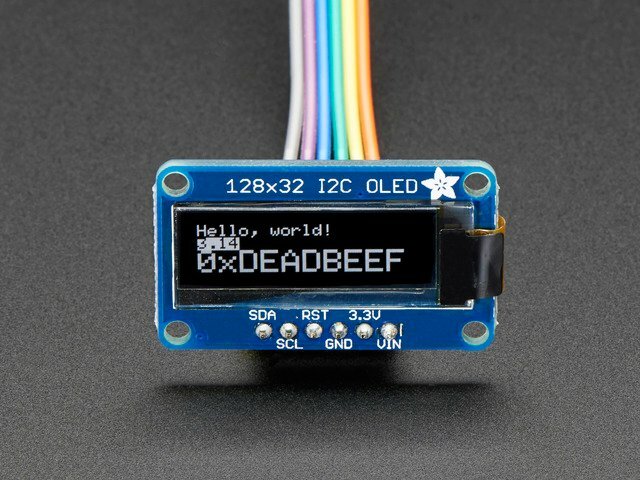 There's a microSD breakout hooked to the SPI lines, a 128x32 OLED on the I2C lines, and a rotary encoder (with push switch) using 3 digital inputs. Because I made the decision to use I2C between the interface circuit and the emulator circuit, any MCU with I2C capabilities would work. One small wrinkle: the Metro M4 is a 3.3v system while the emulator is 5v. 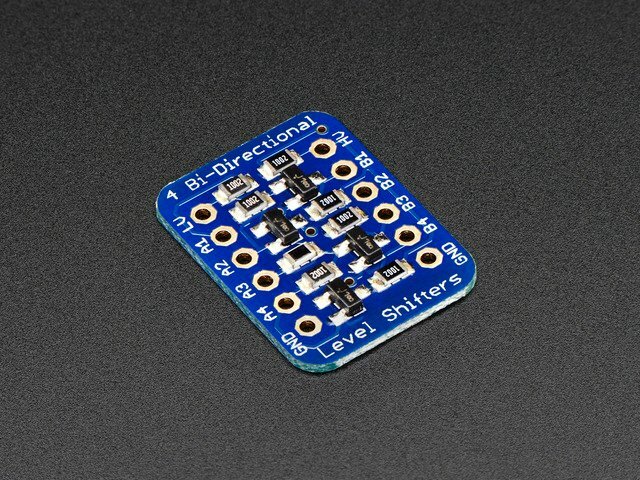 Adafruit to the rescue with the BSS138 based 4-channel I2C-safe Bi-directional Logic Level Converter. We just need to run the I2C lines through this between the two circuits. 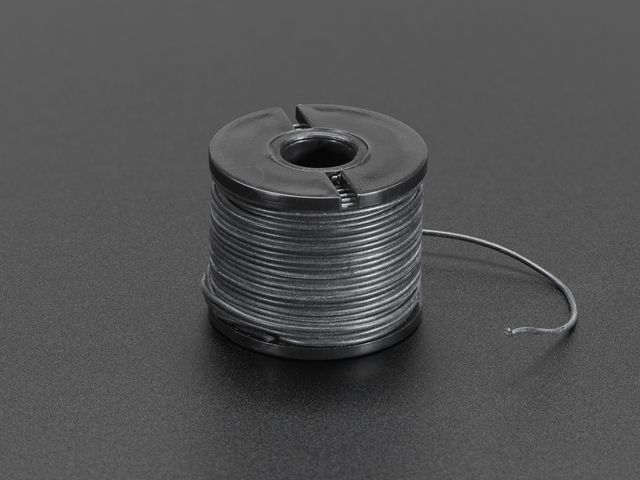 The 30 gauge silicon covered hookup wire (black is listed in the related products sidebar) has revolutionized my builds. Red is power, Black is ground, blue is SPI, yellow is SCL, green is SDA, white is the digital signals for the encoder, and for some reason I used a bit of green and white for reset. For my host design I used what I knew: the 2716 EPROM and 6116 static RAM. The nice thing about this pair of chips is that they are pin for pin compatible: you can swap them in a design. We can take advantage of this in the emulator to replace the 2716 on the host board with a 6116 in the emulator. That way we can put code into the 6116 (since it's a RAM) and the host treats it like an EPROM. If we just plugged the 6116 into the host there would be no way to get code into it. So we need to have it accessible from a controller. That would allow us read binary files from an SD card and write them to the 6116, then let the host use it in place of the 2716 it thinks is there. Basically we want to dual port the 6116: let two different systems use it. The controller would write into it and the host would read from it. History note: the Apple ][ design dual ported the system RAM to allow both the CPU and the video system to have interleaved access (the video hardware had access while the CPU was in it's "working internally" phase of each cycle. This allowed for very simple, efficient display hardware, with the bonus that video access took care of the dynamic RAM's refresh requirements (see Digital Circuits 5: Memories for more on dynamic RAM). Below is the schematic of the emulator. At the bottom-left and bottom right is the address and data related signals, respectively, from the host. The data bus from the host (on the right) is connected to the 6116 through a tristate buffer (the '244) that isolates the RAM from the host while the emulator is loading data into the RAM. The output enable of the RAM is controlled by the same signal that controls that '244. That's what the NAND gates at the bottom are for. The output of the RAM and the buffer to connect the RAM's data pins to the host are controlled by the output enable from the host EPROM connection, gated by the emulator's mode signal (low when the 6116 is being loaded, high when the host has access). Using NANDs and inverting the host's output enable means that data flows from the 6116 to the host when the host asks for it (the /OE from the host is low) and the emulator is in host access mode. There is another '244 connecting the controller to the data bus of the 6116 while the emulator is in program mode. More about that later. Now consider the address bus from the host (bottom left). It doesn't connect to the 6116 directly or though a buffer. Instead it goes connects to the B sides of 11 dual input multiplexers (the 74LS157s in the center of the schematic). 2K of memory needs an 11-bit binary number to cover all locations. The chip enable signal from the host goes through a multiplexer as well. The outputs of the multiplexers connect to the corresponding pins of the 6116. The other inputs to the multiplexers? They come from a bank of 4-bit binary counters (on the left in the schematic) that are chained together to make a single 12-bit counter. Since we only need 11 address lines, the highest valued output of the counter is not used. The A side of the final multiplexer connects to a chip select control signal described later. The outputs of the multiplexers go to the corresponding input of the 6116. So that explains the dual-porting, the host connection, and the emulator address generation. Let's turn our attention to the top part of the schematic. Core to this is a MCP23017 that is controlled via I2C by the control board. Port A is simple: it's just the 8-bit data to be placed into the 6116. When the emulator is in programming mode the second '244 is enabled, connecting the output of port A to the 6116's data pins. /PROGRAM is low when the emulator is in program mode: i.e. the 6116 address is provided by the counters, and it's data by port A of the 23017; the host is cut off from the 6116 in this mode. When /PROGRAM is high, the 6116 is connected to the host. /WRITE connects to the write enable input of the 6116. When it goes low the values on its data pins are written into the location specified by the values on its address pins. /SELECT connects to the 6116's chip enable pin when in program mode. This serves to enable the chip for subsequent reading writing. The 6116 does nothing unless its chip enable pin is low. When in EMULATE mode, the chip enable comes from the host. ADDR_CLK increments the address counter when it is pulsed low briefly. ADDR_RST is normally low, and making it high briefly resets the address counter to 0. INDICATOR is connected to an LED simply as an indication of when the emulator is in EMULATE mode. I used a separate port B output for this due to the current draw of an LED. Just to be safe, and since I had port B outputs to spare. One limitation incurred by using an address counter (rather than an additional 23017 to provide the address) is that arbitrary locations cannot be written. That's not a problem since the use case is to load the 6116 with the contents of a 2K EPROM; writing arbitrary locations isn't required. One advantage of using an address counter is that it provides a better example of the circuits we've been looking at in previous parts of this guide series. This circuit has a little of everything: logic gates, counters, multiplexers, and memory. It also includes the 74244 chip that we saw back in part 2. Let's have a closer look this time. Green: address from counter to mux. Yellow: address from the EPROM connector to mux. White: address from mux to RAM, and control lines. Blue: data, you can see it flow from the 23017 at the bottom to the 244 to the RAM to the other 244 at the top and to the EPROM connector. Three state? But, you say, "I thought binary had 2 states". Well it does: high and low. But what about "disconnected", i.e. no signal? That's the third state we're talking about. A signal line in this third state, aka hi-impedance aka open-collector, doesn't provide a logic level, or anything; it's electrically disconnected. If you have multiple signal sources all running through 3-state buffers, you can enable 1 of them at a time and its logic value will propagate onward. It's a handy way to basically turn off a signal. If you remember back to part 1, I said that an logic output could connect to some number (limited by its fan-out) of logic inputs, but that multiple outputs could not connect to a single input? Well, 3-state buffers are the way around that. They let you connect one output at a time to an input, controlled by other logic signals. Consider this family of octal tri-state buffer chips: 74240, 74241, and 74244. They are slightly different from each other, and all incredibly useful. All three include two sets of four tri-state buffers, each set with it's own enable input. They differ along two axis: whether the the buffers are inverting or non-inverting, and whether the two enable inputs are both active low or one active low and one active high. The '240 is the only one of the three with inverting buffers; the '241 and '244 are both non-inverting. The '244 is the only one of the three with two active low enable inputs; the '240 and '241 have one active low enable, and one active high enable. However, which is which is swapped between the two chips. What we have now is a bidirectional 4-bit buffer. The DIR signal controls which buffer of each pair is enabled. That determines whether data flows A->B or B->A because only one buffer in each pair will be enabled, the buffer going the opposite direction will be disabled. This is much like the 74245 buffer chip we'll look at shortly. Here, the enable pins are tied together as a select input that enables (as before) one buffer from each pair. In this case, though, the outputs of the pair of buffers are tied together and each input is part of an A or B set of signals. Now the select input choose either A or B to be connected to the O outputs. The '244 and crew are great if you need data to flow (or not) in a single direction. They can even be convinced to let you control the direction of bidirectional data flow. We did that in the above circuit. However, while it lets us control the direction of flow, we lost the ability to disable it entirely. Also, it left us with only 4 bits being controlled. Computers, especially since 8-bit CPUs became a thing, like to have groups of signals that are multiples of 8 in size. Add to this that bidirectional, and enable/disable control over a set of related signals (generally referred to as a bus) is incredibly useful. Enter the 74245. This chip has it all. Eight bits wide, direction control, and an overall enable/disable. You'll be hardpressed to find an 8-bit computer that didn't use one of these to buffer its data bus (and likely a couple of '244s buffering it's address bus). The 8-bit CPUs did not have adequate fan-out to handle the amount of circuitry and peripheral chips in a typical computer, so their buses had to be buffered and '244s and '245s were the chips for the job. Note that we could build an equivalent circuit with a couple '241s and some gates. But that would take 2 20-pin chips and a couple 14-pin ones. The '245 does it all in a single 20-pin package. One notable thing about the '245 is that all the As are on one side and all the Bs are on the other. This isn't that big of a deal on a PCB, but on a breadboard it's really handy to have a bus go in one side of the chip and out the other. So much so that I'll use this in place of a '244 for one-direction buffering of a bus. All that needs to be done is to hardwire the DIR input to have signals flow in the desired direction. EPROM emulator UI in CircuitPython. Targeted for the SAMD51 boards. # (shrug) something didn't work out, oh well! The DirectoryNode class provides the ability to navigate a file system. It was written with an SD filesystem in mind, but just relies on the os module so should work with any storage that os uses. The class provides public properties to get the name and full path of the selected file, as well as methods to force a screen update, move up and down in the displayed list, and do the appropriate thing in response to a selection event (in this case pushing the rotary encoder's switch). When you create the root level instance, you provide an oled instance to display on, as well as the name of the root (which defaults to "/"). Notice that the click() method returns a DirectoryNode which is assigned to the current node. That's because clicking could result in moving to a child or parent directory. Manage a directory in the file system. """Display and navigate the SD card contents"""
"""Dereference things for speedy gc.""" """Determine whether a path identifies a machine code bin file. """Nondestructively strip off a trailing slash, if any, and return the result. """Return a full path to the specified file in this directory. directory if this isn't the top directory on the SD card.""" """Return a list of the files in this directory. ".." entry is the first element. Any directories have a slash appended to their name.""" self.files[index] = name + "/"
"""Update the displayed list of files if required.""" """Update the selected file lighlight if required.""" """Is a filename the name of a directory. """The name of the currently selected file in this directory.""" """The full path of the currently selected file in this directory.""" """Force an update of the file list and selected file highlight.""" indicator and scrolling the display as required.""" and scrolling the display as required.""" """Handle a selection and return the new current directory. If the selected file is a directory, go into it.""" """Handle all interaction with the emulator circuit.""" library to use 8-bit ports"""
"""Enter program mode, allowing loading of the emulator RAM.""" """Load the emulator RAM. Automatically switched to program mode. This guide was first published on May 14, 2018. It was last updated on May 14, 2018.